Von Maur department store in Town East Square has a separate nursing mothers room apart from its regular family room. It offer several comfortable couches, electrical outlet, a baby changing table, and extra diapers. 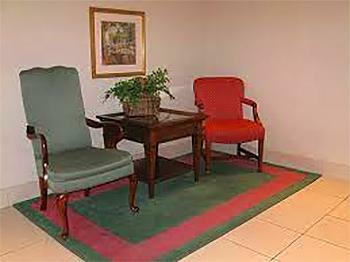 Outside of the nursing room is another comfortable but less private seating area that can also be used for lounging and nursing. Their family restroom even include mini toilets for the little ones.